Ms. Conrad practices in the firm's business litigation and business bankruptcy areas. 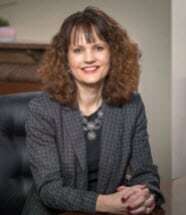 She has extensive experience in all facets of commercial litigation, with frequent appearances in state and federal courts including the Massachusetts Land Court and the Bankruptcy Court for the District of Massachusetts. Her litigation experience is wide-ranging, including matters involving real estate, secured assets, title matters, creditor-side bankruptcies and municipal tax foreclosures. Her clients include community banks and credit unions, real estate brokers and developers, local businesses, a local municipality, commercial landlords and commercial tenants. Ms. Conrad also has a wide range of experience in other practice areas, including negotiating workout agreements between lenders and borrowers, obtaining buyouts for shareholders in close corporations, creating and dissolving businesses, and negotiating and closing real estate transactions and sales of business assets. Prior to joining Seder & Chandler, LLP, Conrad was associated for thirteen years with the Law Office of Laura A. Mann, a small general practice law firm in Milford, Massachusetts, and was associated for five years with Testa, Hurwitz & Thibeault, LLP, a large multiservice Boston firm. Ms. Conrad was also a judicial clerk for the Honorable Barbara A. Lenk of the Massachusetts Appeals Court. Ms. Conrad is originally from Western Massachusetts and is a resident of Upton. She is the Vice President and Grants Committee Co-Chair of the Mendon-Upton Education Foundation (MUEF), which raises funds and awards grants to teachers and staff members in the Mendon-Upton Regional School District for innovative educational initiatives. She is also a member of the Upton Cultural Council. She enjoys running, traveling to national parks and skiing with her family, and is a lifelong Red Sox fan. • Obtained a Land Court verdict establishing a client's prescriptive easement as to a driveway between properties; also obtained preliminary injunctive relief preventing the adjacent owner from blocking the disputed driveway during the pendency of litigation. Giombetti Clue Properties, LLC v. Joseph DiFronzo, et al., 22 LCR 501 (2014). • Won summary judgment in Bankruptcy Court to enforce liability as to a Chapter 13 borrower's personal guaranty of commercial loan. In re Cullen, Case No. 11-17823 (District of Massachusetts). • Won summary judgment for a defendant landlord on a tenant's claims of breach of lease relating to build out of restaurant, obtained judgment on counterclaims and prevailed on tenant's appeal. The Pizza Zone, Inc. v. Darn Realty, LLC, 2008 Super. LEXIS 106, affirmed on appeal at 2010 Mass. App. Unpub. LEXIS 1185. • Prevailed in arbitration filed on behalf of client general contractor for breach of contract relating to construction of veterinary hospital. • Defeated motion seeking to enjoin foreclosure of commercial property. Arcade Properties, Inc. v. Resource Capital, LLC, Worcester Superior Court Case No. 1685-00730. • Obtained political asylum for client from the Democratic Republic of Congo.